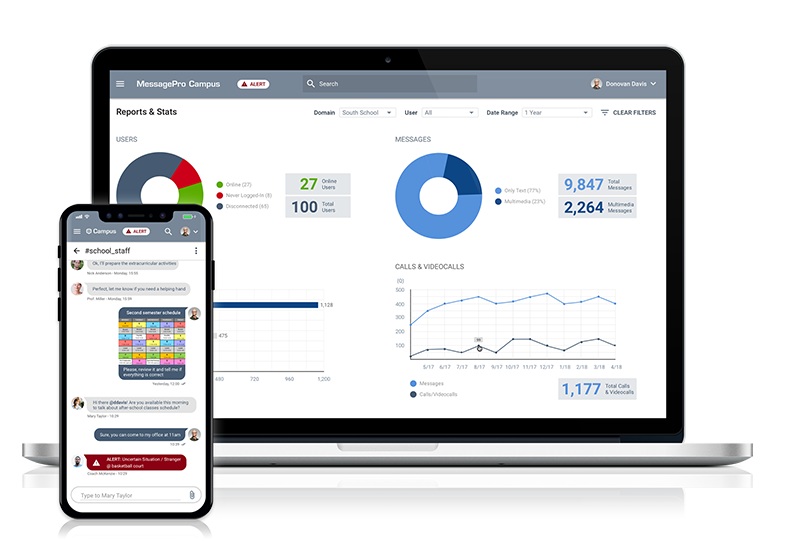 MessagePro Campus offers you all the advantages of our encrypted messaging service and an alert button to notify all or a certain number of users about any emergency. It is a service focused on organizations with a large volume of users and which requires high synchronization between different locations, perfect for Religious Organizations. We started with MessagePro Office to provide a managed text service for our Youth Director and it’s taken off like wildfire with multiple groups in the Church. We use it for meeting reminders, sending out pictures, and announcements. So simple to use, the Church administrator loves it. Our congregation uses email but more sporadically than texting so it’s the way to get through when you need to do so. Want to Know More About MessagePro for Religious Organizations? Let’s Talk!